I believe process is a competitive differentiator. This blog provides comments around Business Process Management (BPM) from a business perspective. To me, BPM is technology enabled continuous improvement that builds on reengineering, activity based costing, business intelligence, and other prior business efforts. I will also use this to share my thoughts around leadership, innovation, and business in general. I was out for my morning run and realized that my Garmin Forerunner is a good example of automating a process. I use the Garmin 201 to track my distance and speed primarily. It gives me my splits, elevation, total run time, etc. It is an amazing tool, and I have convinced dozens of running friends to buy it. So, why blog about this. First, because I love it. Second, because I believe anecdotes are what help people think outside the box. 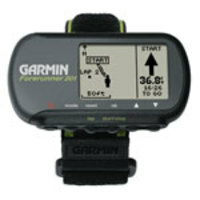 The Garmin took a simple process like running and addressed the work around it. For serious runners, we track miles, days we run, splits, total distance, and many other things as you prepare for races. The Forerunner captures all that data (like a BPMS). It allows you to report on that data (for geeky people like me who love data analysis)...known as BAM or Business Activity Monitoring in the BPM world. It also has embedded rules in it...like a BRE or Business Rule Engine. Some of the business rules are process level rules such as the one that stops calculating your average pace if you standstill for x seconds. Some are customizable rules that say whether to calculate your spilts based on each mile or half-mile or whether to beep at you when you go outside acceptable bands (i.e., too slow or too fast). xanax on BPR vs BPM: What's Different? NOTE: The opinions expressed here are those of the author, are not necessarily reviewed in advance by anyone but the individual author, and neither Talisen Technologies nor any other party necessarily agrees with them. Here are several of the things I have learned about business working for several start-ups and validated at several big companies. I am often asked about what I have done in healthcare. Here is a quick summary. Thanks to Snap.com, you can move your mouse over any of the links on the page and see a preview of the page before clicking on the link.